The apparent ease with which London could be attacked by bombers was a cause of anger embarrassment for the authorities and anger among the population. The July 7th attacks were a prime example of this. By 1917, the German Zeppelins had been replaced by Gotha bombers, which were again able to spread terror and destruction around the capital. On 7 July 1917, London was attacked by 22 Gotha bombers, which arrived over the east coast, formed up over Epping Forest and proceeded to bomb the East End and the City of London – in all 57 people were killed. The raid caused great anger about the lack of proper warnings and the lack of effective defences. It prompted another big anti-German riot, just as the sinking of the Lusitania had sparked off the mass rioting and looting in May 1915. 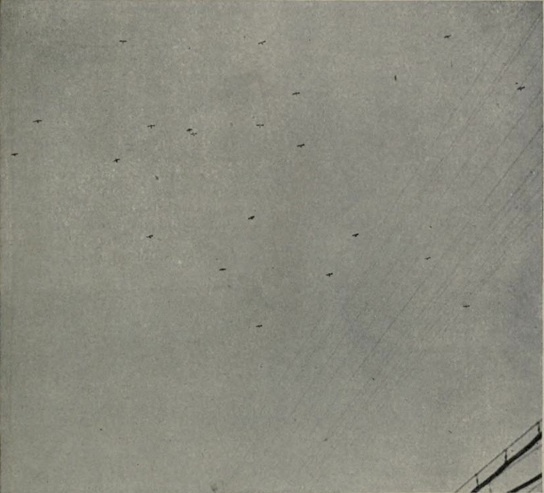 First there were the observers – the people who watched the air but were not directly affected. In the air raids of the Great War, there were a great number of these – partly because the scale of the physical destruction was limited and because many people remained out in the street during these raids. In the 7 July 1917 raid, many people assumed that the raiders were actually British aircraft until the bombs actually started falling. a blinding flash, a chaos of breaking glass, and the air thick-yellow dust and fumes. Five men had been struck by bomb fragments and a boy of my own age, also hit, died in the afternoon. Outside was a terrible sight, the horses twisted and mangled (the carts had disappeared except for a few burning bits of debris), the front of the office next door, which had caught the full force, blown clean away. They brought into our building people from the ruins there and I helped to carry them – it was a relief to do something. All the unfortunates had ghastly wounds. I had never seen a dead man before and I was too dazed to realise until afterwards that they must have been stone dead. A fireman, with his axe, put the last horse out of its anguish. The curious thing is that I did not hear the bomb at all and yet I was quite deaf for three days. Another building that was hit was the General Post Office building in St Martin-le-Grand, the roof of which was set of fire (see IWM picture here). The third experience is that of the airmen who struggled – largely in vain – to fight off the raiders. Ninety-five British aircraft were apparently sent up to tackle the Gothas. The aircraft (including James McCudden the great air ace) and the anti-aircraft guns together had little impact, only managing to bring down one of the enemy machines before they escaped over the Channel The British aircraft followed them there and continued their attack but without any further success. The British, however, lost at least two aircraft and three young airmen. Among those British airmen were JER Young and CC Taylor, who together chased the Gothas out to sea but were brought down either by the combined fire of the Gothas’ gunners or by British anti-aircraft gunfire, depending whose reports you believe. John ER Young, the pilot, grew up in Streatham and went to the Grammar School there before going to work at the British Bank of Northern Commerce. 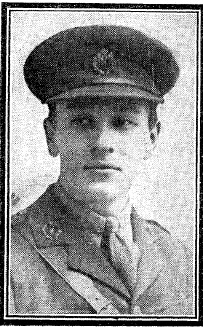 He joined the Artists’ Rifles in the ranks in June 1916 and was commissioned as an officer in the Royal Flying Corps in February 1917. His body was not pulled from his crashed aeroplane before it sank, so his headstone in Southend cemetery was placed ‘in memory of’ the pilot, with an inscription noting that his body was not recovered. His observer was Cyril C Taylor, whose body was recovered from the wreck and he was buried in West Hamstead Cemetery on 14 July – suggesting that he too was a Londoner, who died in defence of his home. All in all, the event highlighted the exposure of London to raids by aeroplanes after the Zeppelins had been fought off in 1916. The expulsion of the capitals few remaining Germans was demanded by angry crowds. More practically, better defences and better warning systems were also demanded – the warning devices seen in a previous post on this blog largely came in the weeks after the 7 July 1917 air raid. Quotations from Home Fires Burning: diary of Georgina Lee (ed Royndon) and First Blitz by Neil Hanson (which also tells the story and context of the raid well). The first day of the 1916 Battle of the Somme is notorious as the deadliest day in British military history, the day when over 19,000 servicemen were killed in action for little territorial gain. This post remembers three Londoners who were among those thousands. Edwin Cyril Laffan Read was born in South London in 1894 and educated at the London County Council School on Eardley Road, Streatham. After leaving school, he became a tailor. On 1 September 1914, he joined the army – at the height of the recruiting boom after the battle of Mons. 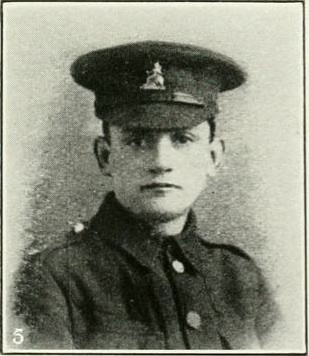 He joined the 8th Battalion of the Norfolk Regiment. On 1 July 1916 he was serving with them in 53rd Brigade in 18th (Eastern) Division, which successfully attacked Montauban. He was killed and now lies buried in Dantzig British Cemetery in Mametz, in ground captured during the battle – but he was probably one of the 25 men of his division moved there from a cemetery in Carnoy. Richard Leslie Brewer was born in Leyton in 1895, the son of an insurance broker. He enlisted in the 2nd Battalion, The Royal Fusiliers (City of London Regiment) on 14 September 1914 and served with them in malta and Egypt before landing at Cape Helles in Gallipoli in September 1915 and serving there until the retreat at the end of 1915. In 1916 he was transferred to the Western Front and in April joined the Queen’s Westminster Rifles (the 16th Battalion, London Regiment) as part of 56 (1st London) Division. 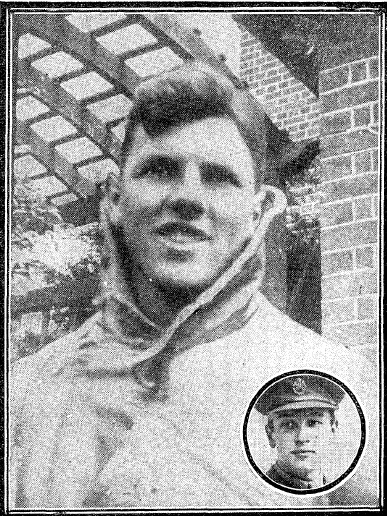 On 1 July 1916, according to letters to his parents, he was seen to assist a wounded comrade before leading his platoon after their officer was hit. Soon after that he was killed by a shot to the head; he now lies buried in Gommecourt, where hundreds of the dead of 56 Division lie. Barry Boncker was born in Upper Norwood in August 1897, but educated at Ardingley College in Haywards Heath. In 1914, he was living on Upper Grove in South Norwood and working as a clerk at the National Bank of South Africa. On 1 September, he joined the Queen’s (Royal West Surrey Regiment) in the ranks. 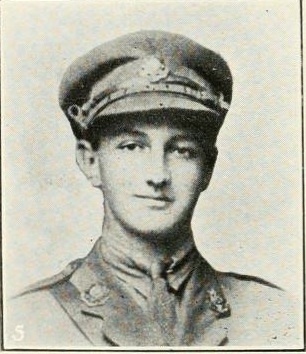 In November 1915 he was given a temporary commission as 2nd Lieutenant in the East Yorkshire Regiment. The official notice of his promotion was published in the London Gazette on 30 June 1916. On that day, he and the rest of A Company, 1st East Yorks, were parading and moving into their positions at Fricourt, where they were to attack at dawn on 1 July. The excellent Long, Long Trail website has a transcription of their war diary for that week, which describes how the brigade reached their first objective ‘in spite of heavy losses’ by 8.05 am. After repulsing a German attack, the battalion was too depleted to attack further and dug in. They were relieved by another brigade over night, leaving their positions by 6 a.m. The 1st East Yorks were in action again over the next few days but 1 July was the bloodiest with five officers killed on that day alone out of six killed and anther 13 injured or missing by 4 July, along with 35 other ranks killed, 239 wounded, 158 missing and another nine wounded and missing. 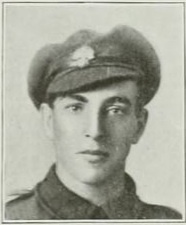 Barry Boncker was one of those four dead officers on 1 July 1916. He has no known grave, but is remembered on the Thiepval Memorial to the Missing – just one of 72,203 names recorded there, 12,360 of them the fallen of 1 July 1916.